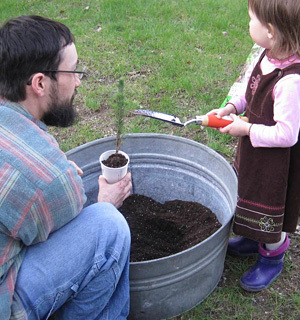 You are here: Home / Who We Are / Why Urban Forestry? Urban and community forestry can make a difference in our lives. Trees Indiana was founded in 2006 in response to a need identified by the Indiana Department of Natural Resources (IDNR), Community and Urban Forestry Office. Over 80% of Hoosiers live in cities and towns where our urban forests are located on public and private open spaces — and it is imperative that we empower youth with knowledge, tools, and appreciation for the challenges and opportunities we face with respect to the environment. Healthy urban forests are critical to the livability of our cities and with urban sprawl on the rise our urban forests become an increasingly important resource. The IDNR outlines the following benefits: urban forests provide economic, environmental, and psychological benefits. Economically, the management of urban forest and the jobs and services it relies on contributed nearly $2.05 billion to Indiana’s economy in 2004 (Center for Urban Policy and the Environment 2004). Environmentally, they are the most crucial natural resource components of a community as they clean the air we breathe and the water we drink. – Psychologically, they contribute to reduced stress, less domestic violence, bring people together, and offer a sense of community. The benefits of urban forestry is an extensive list that keeps growing as new findings are being published. Significant research on the benefits of children and nature, including health benefits, was published in late 2011. These findings may be found on the Children and Nature Network website.